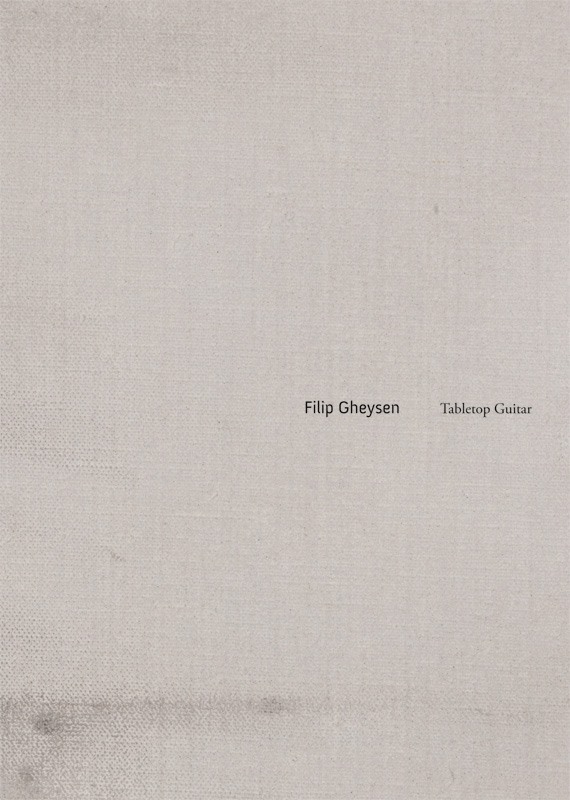 A short while ago I was asked by Belgian musician and visual artist Filip Gheysen (born 1979) to write a text about his work. This piece has now been published in a small book that accompanies a cd and a dvd, containing music and short films of Gheysen. It is well designed and is brought out by the Ghent-based label Silken Tofu (you can buy the package for €20,00 at the label’s website). Gheysen’s music is conceived by using an electric guitar placed on top of a table and a wide array of effect boxes as well as a laptop. With this setup, he wonderfully manipulates guitar drones to create mesmerising soundscapes. In his visual work he most often makes use of graphic techniques. In the washed out fields of toned-down colours which he puts on paper or canvas, blots and lines appear as subjects in a dream-state. Recently, the artist began combining his two preferred art disciplines into slow moving videos with a typical soundtrack of Gheysen.